Mennonite Brethren broadcasting in Winnipeg had its beginning in the fall of 1946 when several students of Mennonite Brethren Bible College (Henry Poetker, Henry Brucks, and Bert Loewen) began a radio broadcast named the “Gospel Light Hour.” The program first aired on February 23, 1947, on Winnipeg station CKRC. Directors from 1947 to the present include: Henry Poetker (1947), Henry Brucks (1947–1948), Peter R. Toews (1948–1949), Henry Born (1949–1950), John M. Schmidt (1951–1963), Toby Voth (1963–1964), William J. Schmidt (1964–1967), Jake Schmidt (1968–1971), Neil Klassen (1972), Waldo Neufeld (1973–1978), Neil Klassen (1978–1986), Dan Block (1987–1993), Victor Neufeld (1993–1994), Burton Buller (1994–1999), Delbert Enns (2000–2007), Claude Pratte (2007–2016), Shoaib Ebadi (2016– ). In 1954, the radio broadcast came under the auspices of the Manitoba MB Conference. In 1956, it began the German broadcast entitled, “Licht des Evangeliums,” and a year later, in 1957, the first Russian broadcast began, as well as the “Children’s Gospel Light Hour.” A studio located at 188 Kelvin St. (later renamed Henderson Highway) was built and dedicated in 1960. It continued to be used until a new studio was built in 1985, located on Riverton Avenue just east of Mennonite Brethren Bible College. In 1976, the name of the broadcaster was changed from “Gospel Light Hour” to “Mennonite Brethren Communications” (MBC). Financial support for the various ministries came from private donations and grants from the Manitoba MB Conference, the Canadian MB Conference, and from the Foreign Mission Board at various times of its history. The program expanded into Low German, Teen, and Television broadcasts. A cassette ministry was added so people could get the message who would be unable to listen to the actual aired MBC program. The mission of MBC as expressed in a 1978 document was as follows: “to use communication media to call persons to commitment and life in Jesus Christ, and to influence, in accordance with Christian principles, the values and morals of individuals in society” (Manitoba MB Conference yearbook. 1978, p. 13). In 1996, Mennonite Brethren Communications changed its name to Family Life Network (FLN) during Burton Buller's administration (1994–1999), though the legal name remained MBC until 2000. In 2008, during Delbert Enns' administration, FLN was incorporated as a ministry independent of the MB Conference of Manitoba. In 2014, the broadcaster again changed its name to Square One World Media. "The new name reflects the global scope of the ministry’s reach and identifies the work as media production," said then executive director Claude Pratte. On October 20, 2017, Square One World Media celebrated its 70th anniversary. See Vol 284, file no. 12 for a copy of the 1960 history and the 2017 commemorative brochure, along with copies of the 34 posters displayed at the anniversary event featuring key people and programming milestones through its ministry history. This series consists of the following sub-series: minutes, reports, general correspondence, financial records, administrative files, publications, correspondence with related organizations, correspondence with Radio Stations, files related to the German, English, Russian, Low German and Television programs, correspondence from listeners and audio and video recordings. Location: Textual records are classified under the Canadian Conference of Mennonite Brethren Churches – BC260, the video reels – MNT1, MNT2, Audio discs – NAD1 to NAD66 and NPH-01, Audio cassettes – NA-18. Finding aid: Available. Series identified and files listed. No series description. Series I–XIV organized according to 1990 Finding Aid. Series XV is linked to its own institutional record, Letters from the Soviet Union. -- 1987–1993. XV. MB Communications series. Letters from the Soviet Union series. -- 1987–1993. M.B. Communications. Financial Ledger Book. -- 1958–1962. M.B. Communications. Financial Ledger Book. -- 1963–1966. M.B. Communications. Financial Ledger Book. -- 1966–1968. M.B. Communications. Financial Ledger Book. -- 1969–1970. M.B. Communications. Financial Ledger Book. -- 1970–1971. BC260.1. History of MB Communications; "The Gospel Light Hour History." -- 1961. BC260.2.1. Gospel Light Hour Executive - minutes. -- 1947–1948. BC260.2.1. Minutes and Reports. -- n.d.–1960. BC260.2.1. Minutes and Reports. -- 1961–1962. BC260.2.1. Minutes and Reports. -- 1963–1964. BC260.2.1. Minutes and Reports. -- 1965–1966. BC260.2.1. Minutes and Reports. -- 1967–1968. BC260.2.1. Minutes and Reports. -- 1969. BC260.2.1. Minutes and Reports. -- 1970. BC260.2.1. Minutes and Reports. -- 1971. BC260.2.1. Minutes and Reports. -- 1972. BC260.2.1. Minutes and Reports. -- 1973. BC260.2.1. Minutes and Reports. -- 1974. BC260.2.1. Minutes and Reports. -- 1975. BC260.2.1. Minutes and Reports. -- 1976. BC260.2.1. Minutes and Reports. -- 1977. BC260.2.1. Minutes and Reports. -- 1978. BC260.2.1. Minutes and Reports. -- 1979. BC260.2.1. Minutes and Reports. -- 1980. BC260.2.1. Minutes and Reports. -- 1981. BC260.2.1. Minutes and Reports. -- 1982. BC260.2.1. Minutes and Reports. -- 1983. BC260.2.1. Minutes and Reports. -- 1984. BC260.2.1. Minutes and Reports. -- 1985. BC260.2.1. Minutes and Reports. -- 1986. BC260.2.1. Minutes and Reports. -- 1987. BC260.2.1. Minutes and Reports. -- 1988. BC260.2.1. Minutes and Reports. -- 1988–1991. BC260.2.2. Director's Correspondence and Reports. -- 1947–1956. BC260.2.2. Director's Correspondence and Reports. -- 1957. BC260.2.2. Director's Correspondence and Reports. -- 1958. BC260.2.2. Director's Correspondence and Reports. -- 1959. BC260.2.2. Director's Correspondence and Reports. -- 1960–1962. BC260.2.2. Director's Correspondence and Reports. -- 1963–1966. BC260.2.2. Director's Correspondence and Reports. -- 1967–1981. BC260.2.2. Director's Memos. -- 1976–1978. BC260.2.2. Director - Staff Communication. -- 1973–1974. BC260.2.2. Special Reports. -- 1982, 1983, 1985, 1986. BC260.2.3. Working Committee Minutes. -- 1960–1966. BC260.2.3. Working Committee Minutes. -- 1967. BC260.2.3. Gospel Light Hour staff meeting minutes. -- 1968–1974. BC260.2.3. Gospel Light Hour staff meeting minutes. -- 1975–1976. BC260.2.3. Mennonite Brethren Communications staff meeting minutes. -- 1978–1979. BC260.2.3. Mennonite Brethren Communications staff meeting minutes. -- 1981. BC260.2.4. Building Committee info. & correspondence. -- 1973–1977. BC260.2.4. Building Committee - minutes, reports, correspondence. -- 1982–1986. BC260.2.5. Staff Banquets & other outdoor events. -- 1977–1980. BC260.2.5. Personnel information and correspondence. -- 1968–1973. BC260.2.5. Personnel information and correspondence. -- 1974–1979. BC260.2.5. Personnel memos. -- 1971–1979. BC260.2.5. Employment Records. -- 1963–1969. BC260.2.5. Employment Applications. -- 1972–1979. BC260.2.5. Personnel Directories. -- 1973–1980. BC260.2.5. Viktor Hamm immigration info. & correspondence. -- 1978. BC260.5.1. Radio receipts & vouchers. -- 1947–1949. BC260.5.1. CKRC Invoices. -- 1948–1949. BC260.5.1. Receipts for cash paid out. -- 1947–1948. BC260.5.1. CFAR - Flin Flon Invoices. -- 1948–1949. BC260.5.1. Financial Statements. -- 1960–1963. BC260.5.1. Financial Statements. -- 1964–1968. BC260.5.1. Financial Statements. -- 1969–1970. BC260.5.1. Financial Statements. -- 1971–1975. BC260.5.1. Financial Statements. -- 1977–1979. BC260.5.1. Financial Statements. -- 1981. BC260.5.1. Financial Statements. -- 1982. BC260.5.1. Financial Statements. -- 1983. BC260.5.1. Financial Statements. -- 1984–1985. BC260.5.1. Financial Statements. -- 1986. BC260.5.1. Financial Statements. -- 1988–1989. BC260.5.1. Salary Schedules. -- 1970, 1983, 1985, 1986, 1990. BC260.5.2. Memorial Fund info., corresp., etc. -- 1976–1978. BC260.5.2. Memorial Fund info., corresp., etc. -- 1979–1980. BC260.5.3. Sales Journal. -- 1973–1974. BC260.5.3. Accounts Receivable Paid. -- 1976–1978. BC260.5.3. Outstanding Accounts form Letter. -- n.d.
BC260.5.3. Old Accounts. -- 1975–1976. BC260.5.3. Miscellaneous Accounts Receivable. -- 1971–1972. BC260.5.3. Miscellaneous Accounts Receivable. -- 1976–1977. BC260.5.3. Miscellaneous Accounts Receivable. -- 1977–1978. BC260.5.3. Board of Foreign Missions - Subsidy. -- 1970–1972. BC260.5.3. Dealer's Accounts Receivable. -- 1971–1972. BC260.5.3. Dealer's Accounts Receivable. -- 1972–1979. BC260.5.3. Custom Recording. -- 1970–1971. BC260.5.3. Custom Recording. -- 1971–1972. BC260.5.3. Custom Recording. -- 1973–1976. BC260.5.3. Custom Recording. -- 1976–1979. BC260.5.3. Child Evangelism Fellowship. -- 1972–1976. BC260.5.3. Ambassadors for Christ Association. -- 1973–1976. BC260.5.3. Faith & Life Communications. -- 1971. BC260.5.3. Faith & Life Communications. -- 1972–1979. BC260.5.3. United Gospel Crusades (Rev. D. Buhler). -- 1979. BC260.5.3. Mission Evangelical Mennonita (E. Funk / P. Reimer). -- 1976–1980. BC260.5.3. Mennonite Radio & Television Council. -- 1974–1980. BC260.5.3. Mennonite Brethren Mission/Services. -- 1965–1980. BC260.5.3. Manitoba Conference of Mennonite Brethren. -- 1974–1981. BC260.5.3. Evangelical Mennonite Conference. -- 1976–1977. BC260.5.3. B.C., Coaldale & Missions/Services Acc'ts. -- 1973–1976. BC260.5.3. Coaldale MB Church. -- 1976–1980. BC260.5.3. Canadian Conference of MB Churches. -- 1975–1976. BC260.5.3. B.C. Conference of MB Churches. -- 1976–1980. BC260.5.4. Acc'ts Payable. -- 1971–1972. BC260.5.4. Consolidated-Bathurst Packaging Ltd. -- 1975–1978. BC260.5.4. D.W. Friesen - Altona. -- 1976. BC260.5.4. General Stationary. -- 1976. BC260.5.4. G.H. Wood. -- 1976-79. BC260.5.4. Glenwood Distributors Ltd. -- 1977–1979. BC260.5.4. Goodhost Foods. -- 1975–1978. BC260.5.4. Kirby Vacuum Ltd. -- 1975. BC260.5.4. Cam Gard Supply Ltd. -- 1971. BC260.5.4. Dasco Data Products Ltd. -- 1979. BC260.5.4. Willson Office Specialty Ltd. -- 1977–1979. BC260.5.4. Husky Oil Ltd. -- 1970. BC260.5.4. Post Office. -- 1977–1979. BC260.5.4. Air Canada. -- 1978. BC260.5.4. Century 21 Audio. -- 1971–1976. BC260.5.4. Smith Corona-Marchant. -- n.d.
BC260.5.5. Church Donations. -- 1967–1974. BC260.5.5. Distribution of Endowment Fund Earnings. -- 1978–1979. BC260.5.5. Revenue Tax Information. -- 1967. BC260.5.5. Federal Sales Tax. -- 1962–1963. BC260.5.5. Tax returns - Charitable Organization Registration. -- 1967, 1974, 1975, 1979. BC260.9.1. P.R. Brochures. -- 1972. BC260.9.1. P.R. Brochures. -- 1973–1974. BC260.9.1. P.R. Brochures. -- n.d.
BC260.9.1. Publications - Russian. -- n.d.
BC260.9.1. Publications - German -- n.d.
BC260.9.1. Publications - English. -- n.d.
BC260.9.1. Publications - Television -- n.d.
BC260.9.1. P.R. Memos. -- 1974–1977. BC260.9.1. Thank-You Letters. -- 1979. BC260.9.1. Promotional & Thank-You correspondence. -- 1961–1979. BC260.9.1. Transit Ads. -- 1975. BC260.9.1. Canadian & Local Manitoba Newspapers. -- n.d.
BC260.9.1. News Releases. -- [197-]. BC260.9.1. M.B. Communications Expressions. -- 1983–1990. BC260.9.1. Calendars. -- 1958, 1975, 1978–1985. BC260.9.1. Prayer Bulletins. -- 1993–1997. BC260.9.2. Russian Choir Tour File. -- 1976. BC260.9.2. Rallies, Fall. -- 1976. BC260.9.2. Sponsorship Plan. -- 1976. BC260.9.2. P.R. - Fundraising. -- 1973–1979. BC260.9.3. Pastor's Day info. & correspondence. -- 1977. BC260.9.3. Bulletin Inserts. -- 1973–1978. BC260.9.3. "Mass Communications & Your Church." -- n.d.
BC260.9.4. English Letter Excerpts. -- n.d.
BC260.9.4. German Letter Excerpts. -- n.d.
BC260.9.4. Responses to Questionnaire. -- 1967, 1970. BC260.12.1. B.C. - correspondence. -- 1976–1977. BC260.12.1. Alberta & Saskatchewan - correspondence. -- 1974–1976. BC260.12.1. Manitoba - correspondence. -- 1980. BC260.12.1. Mexico & South America - correspondence. -- 1975–1976. BC260.12.1. California - correspondence. -- 1975. BC260.12.2. Mennonite Radio & Television Council. Literature. -- 1973. BC260.12.2. Mennonite Radio & Television Council. Correspondence. -- 1974–1977. BC260.12.2. Mennonite Media Council. Correspondence & information. -- 1968–1975. BC260.12.2. Mennonite Media Council. Correspondence & information. -- 1975–1978. BC260.12.2. Board of Mass Media (GC of MBs). Minutes. -- 1974–1975. BC260.12.2. Board of Mass Media (GC of MBs). Minutes. -- 1979. BC260.12.2. MB Board of Missions / Services (BOMAS). Correspondence. -- 1957–1961. BC260.12.2. MB Board of Missions / Services (BOMAS). Correspondence. -- 1964–1970. BC260.12.2. MB Board of Missions / Services (BOMAS). Special Prayer Requests. -- 1979. BC260.12.2. Mass Media Ministries (U.S. MBs). Minutes, reports & correspondence. -- 1975–1979. BC260.12.2. Board of Evangelism (Canadian Conf. of MBs). Minutes & correspondence. -- 1963–1974. BC260.12.2. Board of Evangelism (Canadian Conf. of MBs). Related info., reports & correspondence. -- 1966–1971. BC260.12.2. Board of Evangelism (Canadian Conf. of MBs). B of E Mass Media Commission minutes. -- 1975. BC260.12.2. Mennonite Broadcasts, Inc. Correspondence & staff newsletter (ALERT). -- 1972–1978. BC260.12.2. Mennonite Broadcasts, Inc. Minutes, reports & information. -- 1973–1975. BC260.12.2. Mennonite Broadcasts, Inc. Minutes & reports. -- 1976–1978. BC260.12.2. Mennonite Brethren Bible College. Correspondence. -- 1975. BC260.12.2. Mennonite Central Committee. Correspondence. -- 1978–1979. BC260.12.2. IMG Seminars. Correspondence. -- 1978. BC260.16.1. New Book Releases - info. -- 1979. BC260.16.1. Christian Press - info. -- 1976–1977. BC260.16.1. REACH International - info. -- 1977. BC260.16.1. the ECONOMICS PRESS, Inc. - info. -- n.d.
BC260.16.1. Baker Book House - info. -- 1976. BC260.16.1. Canadian Bible Society - info. & correspondence. -- 1971–1973. BC260.16.1. Fellowship Book Centre - minutes, etc. -- 1977–1978. BC260.16.1. Home Evangel Books Limited - info. -- 1973. BC260.16.2. Christian Communications Foundation - correspondence. -- 1979. BC260.16.2. World Association for Christian Communications-info. -- 1973–1979. BC260.16.2. Faith & Life Communications - minutes, info. & corr. -- 1970–1975. BC260.16.2. Words of the Gospel - info. & correspondence. -- 1977. BC260.16.2. Winnipeg Area Council of Churches Media Committee. -- 1972–1976. BC260.16.2. United Church Broadcasting - info. & correspondence. -- 1973–1977. BC260.16.2. Pan American Broadcasting Co. - correspondence. -- 1976. BC260.16.2. National Religious Broadcasters - info. -- 1973–1979. BC260.16.2. Trans-World Radio - News Briefs & correspondence. -- 1978–1980. BC260.16.2. Canadian Assoc. of Christian Broadcasters. -- 1973–1979. BC260.16.2. CACB Constitution. -- 1979. BC260.16.2. Ambassadors for Christ Assoc. - correspondence. -- 1972–1977. BC260.16.2. Evangelical Broadcasters of Sask. - minutes. -- 1974. BC260.16.2. International Christian Broadcasters - correspondence. -- 1975. BC260.16.2. Interchurch Broadcasting (Toronto) - correspondence. -- 1974. BC260.16.2. Access Media Ministries - correspondence. -- 1977. BC260.16.2. Other Canadian Broadcasters - correspondence. -- n.d.
BC260.17. Social Planning Council of Winnipeg - info. -- 1979. BC260.17. Campus Crusade for Christ - info. -- 1976–1980. BC260.17. Wpg Bible College & Theo. Seminary - correspondence. -- 1978–1979. BC260.17. Keston College Newsletter. -- 1979. BC260.17. News Releases - various organizations. -- n.d.
BC260.17. Fellowship Bookcentre. -- 1975–1977. BC260.18.1. Radio sub-committee. Minutes. -- 1977. BC260.18.2. Alberta Radio Committee - corresp. -- 1976–1978. BC260.18.2. Coaldale Radio Committee - corresp. -- 1976. BC260.18.2. Saskatchewan Radio Committee - corresp. -- 1973–1976. BC260.18.2. B.C. Radio Committee - corresp. -- 1971–1977. BC260.18.2. California - correspondence. -- 1975. BC260.18.2. Mexico - correspondence. -- 1961–1980. BC260.18.3. Non-Current Contracts. -- n.d.
BC260.18.3. Far East Broadcasting - corresp. -- 1971–1979. BC260.18.3. F.E.B. Newsletter. -- n.d.
BC260.18.3. Radio Southern Manitoba - corresp. -- 1971–1980. BC260.18.3. HLKX (South Korea) - info. & corresp. -- 1973–1978. BC260.18.3. HCJB (Florida & Ont) - info & corresp. -- 1977–1980. BC260.18.3. CKDM (Dauphin, Man.) - corresp. -- 1971–1977. BC260.18.3. Southwest SK Radio (CKSW/CJSN) - corresp. -- 1976. BC260.18.3. KRDU (Calif) - corresp. -- 1979. BC260.18.3. CFRY (Portage La Prairie). -- 1978. BC260.18.3. CFVR (B.C.) - corresp. -- 1977. BC260.18.3. Southern AB Broadcasting (CHEC) - corresp. -- 1976. BC260.18.3. CJAR (the Pas, Man.) - corresp. -- 1978. BC260.18.3. CJOB (Winnipeg). -- 1976. BC260.18.3. CKJS (Wpg). -- n.d.
BC260.18.3. CKRC (Wpg). -- 1976. BC260.18.3. CKTA (Lethbridge, AB). -- 1976. BC260.18.3. IBRA (Stockholm, Sweden). -- 1977. BC260.18.3. KGEI (California). -- 1975–1980. BC260.18.3. KICY (Alaska). -- 1972–1977. BC260.18.3. KARI (Blaine, Washington). -- 1977. BC260.18.3. HCJB (Quito, Ecuador). -- 1977–1980. BC260.18.3. Family Stations, Inc. (Calif.). -- 1977. BC260.18.3. Wort des Lebens / Quell des Lebens. -- 1970–1976. BC260.18.4. Licht des Evangelium - Literature. -- n.d.
BC260.18.4. Familienandacht - Literature. -- n.d.
BC260.18.4. Familienandacht - Guest Speakers. -- 1977–1979. BC260.18.4. Familienandacht - Miscellaneous. -- 1975–1977. BC260.18.4. Listener Correspondence. -- 1957–1964. BC260.18.4. Listener Correspondence. -- 1967–1968. BC260.18.4. Listener Correspondence. -- 1969. BC260.18.4. Listener Correspondence. -- 1970. BC260.18.4. Listener Correspondence. -- 1971. BC260.18.4. Listener Correspondence. -- 1972–1973. BC260.18.4. Program Transcriptions (Published German Sermons) - H. Regehr. -- n.d.
BC260.18.4.Program Transcriptions (Published German Sermons) - M. Durksen. -- n.d.
BC260.18.4. Program Transcriptions (Published German Sermons) - Abe Quiring. -- n.d.
BC260.18.4. Program Transcriptions (Published German Sermons) - J.J. Neufeld. -- n.d.
BC260.18.4. Program Transcriptions (Published German Sermons) - D.B. Wiens. -- n.d.
BC260.18.4. 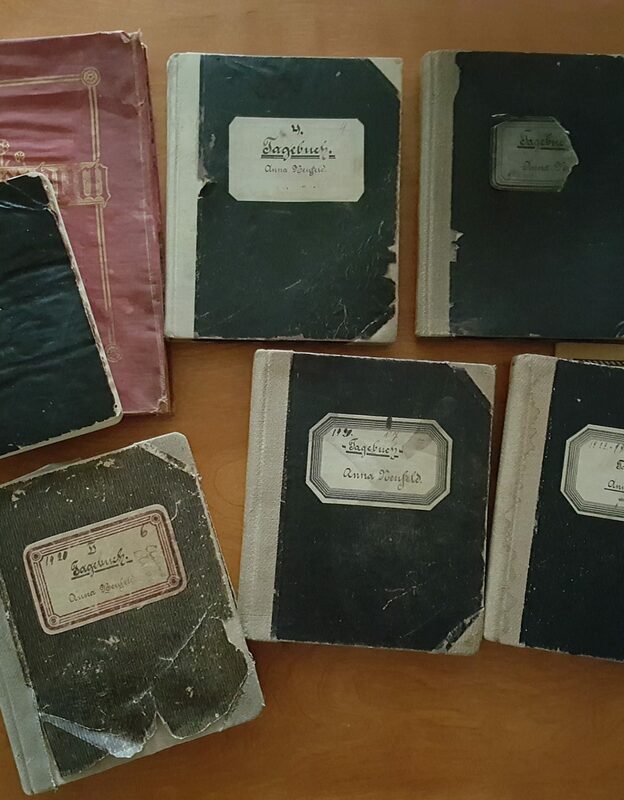 Collection of German Radio Sermons. -- [196-]–[197-]. BC260.18.4. German Sub-Committee. Minutes, Reports. -- 1983–1987. BC260.18.5. Russian Gospel Light Hour Programs. -- n.d.
BC260.18.5. Russian Literature corresp. -- 1966–1973. BC260.18.5. Russian Literature corresp. -- 1974–1977. BC260.18.5. Slavic Gospel Assoc., Inc. corresp. -- 1977. BC260.18.5. Reports, Corresp. -- 1957–1960. BC260.18.5. Russian Program Formats. -- n.d.
BC260.18.5. Programs of Russian Broadcasts. -- 1960–1963. BC260.18.5. Russian sub-Committee - minutes, reports, etc. -- 1983–1989. BC260.18.6. "Words for Women" Literature - corresp. -- 1977. BC260.18.6. "Words for Women" radio spots - corresp. -- 1974–1978. BC260.18.6. "Words for Women" radio spots - scripts. -- n.d.
BC260.18.6. Radio Open Line - report. -- 1977. BC260.18.6. English Program Formats. Gospel Light Program. -- 1957–1958. BC260.18.6. English Program Formats. GLP. -- 1959–1960. BC260.18.6. English Program Formats. GLP Specials - Quito, Ecuador. -- n.d.
BC260.18.6. English Program Formats. MBC Programs. -- 1958–1959. BC260.18.6. English Transcriptions (Published Sermons) - A. Barkman. -- n.d.
BC260.18.6. English Transcriptions (Published Sermons) - A. Schmidt. -- n.d.
BC260.18.6. English Transcriptions (Published Sermons) - J. Schmidt. -- n.d.
BC260.18.6. English Transcriptions (Published Sermons) - J.M. Schmidt. -- n.d.
BC260.18.6. English Transcriptions (Published Sermons) - Wm. Schmidt. -- n.d.
BC260.18.6. English Transcriptions (Published Sermons) - R. Willms. -- n.d.
BC260.18.6. English Transcriptions (Published Sermons) - F.C. Peters & J. Derksen. -- n.d.
BC260.18.6. English Media Sub-Committee - minutes, reports, ect. -- 1983–1989. BC260.19.1. Television Sub-Committee. Minutes. -- 1976–1977. BC260.19.2. T.V. Stations. CITV (Edmonton). -- 1977. BC260.19.3. T.V. Script, "Joy." -- n.d.
BC260.19.3. Third Story T.V. Program. -- n.d.
BC260.19.3. "Choice" script. -- n.d.
BC260.20. Film Resources File #1. -- n.d.
BC260.20. Film Resources File #2. -- n.d.
BC260.20. Production Companies - Dueck Film Productions Ltd. -- 1973. BC260.20. Production Companies - Woodland Films. -- 1977. BC260.20. Production Companies - Yorkton Film Festival. -- 1977. BC260.21. Copyright Recordings - correspondence. -- 1962–1977. BC260.21. International Record Corporation - corresp. -- 1969–1971. BC260.21. National Library of Canada - corresp. -- 1973. BC260.21. Word Records Ltd. - corresp. -- 1968–1973. BC260.21. Gospel Recordings of Canada - corresp. -- 1972. BC260.21. Record Dealers - corresp. -- 1973–1974. BC260.21. Recording Prices. -- 1975–1978. BC260.22. Other Media. 35mm Slides - info. -- n.d.
BC260.22. Other Media. Multi-Media Scripts. -- n.d.
BC260.22. Other Media. Contemporary Songs. -- n.d.
BC260.23.1. Literature to Audience. Give-Aways - corresp. -- 1976–1977. BC260.23.1. Literature to Audience. "Choice" responses. -- n.d.
BC260.23.1. Literature to Audience. Literature Mailing. -- 1973. BC260.23.1. Literature to Audience. Correspondence Course - corresp. -- 1966–1972. BC260.23.1. Literature to Audience. Cassettes & Missions - info. -- n.d.
BC260.23.1. Literature to Audience. Cassette Tape Request. -- 1973. BC260.23.2. Family Life Materials. -- 1972–1973. "Third Story Survival Kit." Resources mailed to viewers writing in to The Third Story T.V. program for counsel. -- [198-?]. MBC: "Film and Video Resources" catalogue (parables, life stories, and songs), including excerpts from The Third Story T.V. program. -- 1985. BC260.23.2. Family Life Network. Promotional Materials. -- 1989–1998. BC260.23.2. Miscellaneous MBC materials. -- 1974. BC260.23.3. Messages - H. Regehr. -- 1960. BC260.23.3. Messages - H. Regehr. -- 1965. BC260.23.3. Messages - H. Regehr. -- 1971–1972. BC260.23.3. Messages - H. Regehr. -- 1973. BC260.23.3. Messages - H. Regehr. -- Final. BC260.23.3. Messages - Jake Schmidt. -- 1970–1973. BC260.23.3. Messages - Agnes Schmidt (Words for Women). -- n.d.
BC260.23.3. Messages - J.J. Neufeld. -- n.d.
BC260.23.3. Messages - Martin Durksen. -- n.d. Copy of 1960 history published in Mennonite Observer (February 26, 1960) and 2017 commemorative brochure, along with copies of the 34 posters displayed at the anniversary event featuring key people and programming milestones through its ministry history. -- 1960, 2017.